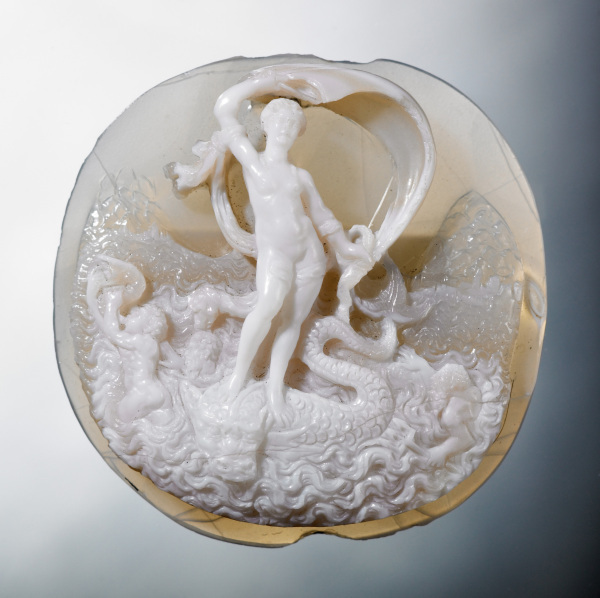 This remarkable Renaissance cameo probably shows the birth of Venus. 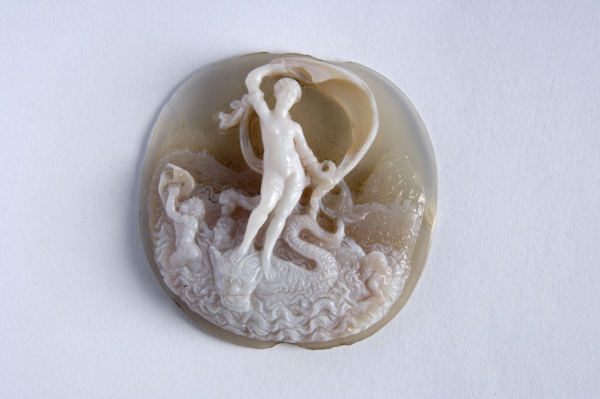 In Classical mythology Venus, the goddess of love, was born from sea foam and blown ashore by the winds. The deeply undercut figure of the goddess is almost detached from the background. 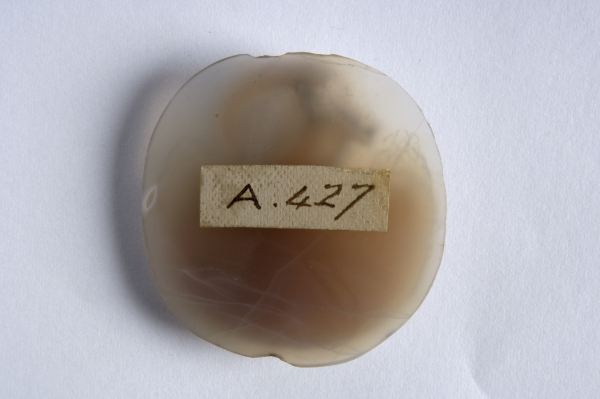 Many wealthy aristocrats formed collections of gems but Sir William was unusual for choosing to collect mainly intaglios (in which the design is carved into the gem) rather than cameos (in which the design stands out in relief). Almost half the gems are ancient, the remainder date from the sixteenth to the early nineteenth centuries. Most are now mounted in late eighteenth and early nineteenth-century gold rings.